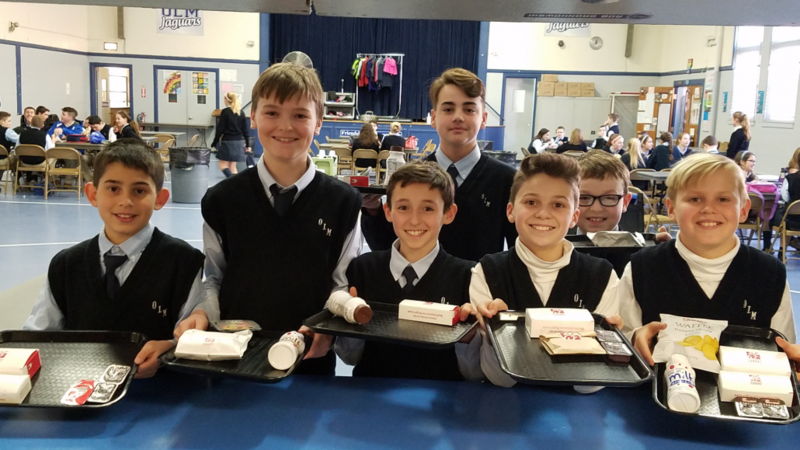 “Campus Cuisine” is pleased to offer the lunch service for Our Lady of Mercy School. They have served schools throughout the USA, since 1996. Campus Cuisine provides specialties from local restaurants, including natural and organic options, whenever possible. Choose from dozens of entrees and sides, which vary in portion size and price, so you may assemble lunches fitting your student’s appetite and your budget! Campus Cuisine’s online ordering process provides many flexible options. Orders may be placed up until noon the day before, and may be pre-ordered weekly, monthly or by semester. Changes and cancellations may also be made online. After August 15, 2018 please visit their website at www.campuscuisine.net. Register/Re-register your family with access code OLM401. Log in and add a student profile for each child. Choose the lunches for each student. You may pre-order for weeks or months, but the deadline for the next day is noon ET the day before. Proceed to secure Checkout. Payment options include VISA, MC and AMEX credit or debit cards. If you need further assistance, email info@campuscuisine.net or call 404-406-4017.